According to a recent survey by an elite dating sire, Irish women are among the most beautiful women in the world while Irish men are among the ugliest(sorry for that). Beautiful Irish women have been the fantasy of many men around the globe. Shining skin, beautiful hair and attractive coloured eyes are some of the features that make men go absolutely crazy for these beautiful Irish women. They look like some angels that came down from the heaven and are a symbol of love. We have prepared a list of top 10 most beautiful Irish women. These top 10 women are chosen based on their beauty, personality, fashion sense and fame in their homeland and around the world. We don’t want you to wait for more to see these beautiful angels, let’s have a look at them. Holly Carpenter is an Irish beauty queen who was crowned the Miss Ireland 2011 and after winning the title, she went on to represented Ireland in the Miss World 2011 competition. She is currently working on some modelling assignments in Ireland and the UK. Earlier this year, Carpenter appeared on Celebrity MasterChef Ireland. Her beautiful green eyes are attractive enough to make her one of the most beautiful Irish women. Eve Hewson is an Irish actress who is famous for her role in the drama This Must Be the Place and TV series The Knick. Apart from that, she has worked in a couple of Hollywood movies that gained her international fame. Hewson is considered as one of the most beautiful Irish women of the young generation. You may find Katie McGrath’s quite familiar because you may have seen her playing the role of Morgana on the BBC One show Merlin. The Irish actress was also part of the famous Hollywood adventure movie Jurassic World. Apart from that, McGrath has also appeared in a number of TV series and mainstream movies. Because of the beauty and her international fame, she is often cited as one of the most beautiful Irish women. 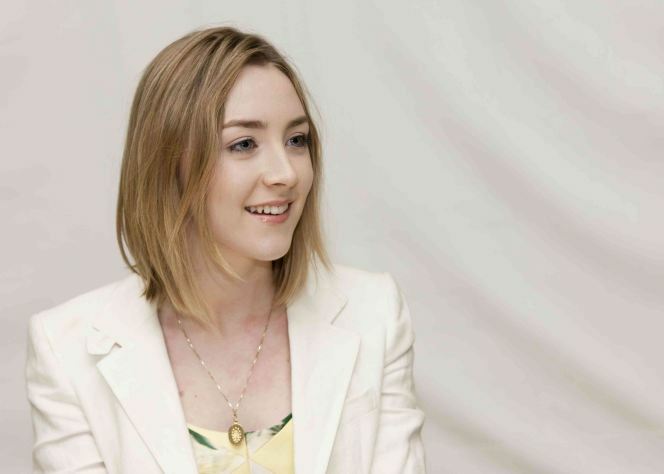 One of the famous celebrities on the list, Saoirse Ronan is an Irish-American actress. She has numerous awards and recognitions to her name and is best known for her movies like I Could Never Be Your Woman, Hanna and The Grand Budapest Hotel. At such a young age, the 22-year-old actress has already proved her mettle in the entertainment industry. We think we don’t need to mention that why Ronan has been named one of the most beautiful Irish women. Laura Whitmore is an Irish TV presenter and model. She is probably the most beautiful TV presenter in the world. In 2015, FHM placed Whitmore on its list of 100 S*xiest Women. Her beauty is not only praised in her country but also around the globe. Her flawless beauty and her elegance make her one of the most beautiful Irish women. Rozanna Purcell is an Irish model and former Miss Universe Ireland 2010. After winning the country’s top-notch beauty pageant, she represented Ireland at Miss Universe 2010 where she was placed among the top 10. Just like the other beautiful Irish women, the most notable feature of Purcell is her beautiful blue-colored eyes. This woman is nothing but sheer hotness. Nadia Forde is an Irish model singer and actress. Her hazel-colored eyes make her look even more attractive. In 2013, FHM chose her as one of the 100 S*xiest Women in the World. Forde is famous for her appearances on the TV show I’m a Celebrity…Get Me Out of Here! and her own show Nadia Goes to Hollywood. Rosanna Davison is an Irish actress, singer, model and the former Miss World 2003. Over the years, she has modelled for various fashion brands. Davison was voted as one of the Most Desirable Women in the Ireland. She is always considered as one of the most beautiful Irish women of all time. The blonde beauty has Hazel Brown coloured eyes that make her look even more beautiful. Georgia Salpa is undoubtedly the hottest Irish women of all time. She is a top-notch glamour model and considered as the epitome of the Irish hotness. In 2012, Salpa ranked number 5th in FHM’s 100 S*xiest Women poll and in 2013, she was the cover girl for FHM’s 100 S*xiest women publication. Believe us when we say, her hotness has no boundaries. Laura Lacole is an Irish model and is considered as the Northern Ireland’s only Glamour model. She is also a public speaker. In 2011, she won the title of Beach Babe. Over the years, she has appeared in numerous magazines and newspapers across the world. Lacole is considered as one of the most powerful celebrities in the Ireland. Her angelic face and beautiful features make her top this list of most beautiful Irish women. Don’t miss: Top 10 Most Beautiful Finnish Women – 2017. So, do you agree with that global survey which said, “Irish women are among the most beautiful women in the world”? If you liked these beautiful Irish women, share this post with your friends and loved ones.